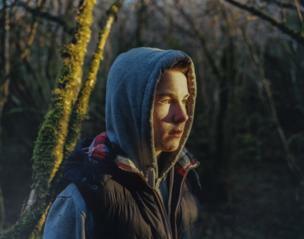 An exhibition of images from the London Art Fair focuses on the lives of teenagers. 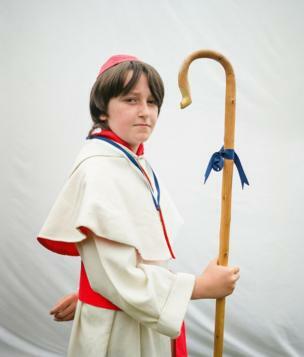 A series of pictures by Jeremy Sutton-Hibbert capture young participants in Scotland's Common Ridings festivals. Frances Kearney's photograph shows a bleak landscape with just a solitary figure. Yvette Monahan’s portrait is of a boy whose DNA is similar to that of a 3,000-year-old skeleton found in a cave in Burren, Ireland. The young man lives less than a mile from the cave. 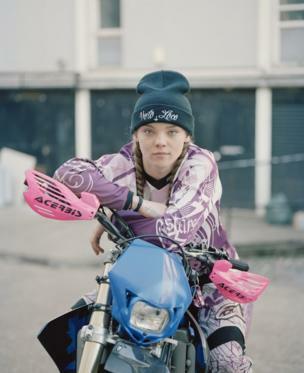 This girl is a member of a biking community that Spencer Murphy documented, capturing their often brightly coloured clothes and bikes. Baptiste Lignel’s images chart the development of nine American teenagers, looking at how their psychological conditions are managed. 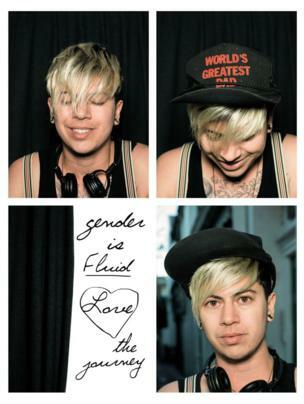 Anthony Luvera collaborated with lesbian, gay, bisexual and trans people in Brighton to explore contemporary attitudes and representations. 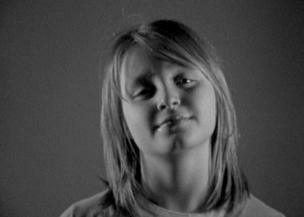 By filming her daughter for one minute, once a month from the ages of 11 to 18, Melanie Manchot built up a moving portrait of adolescence. 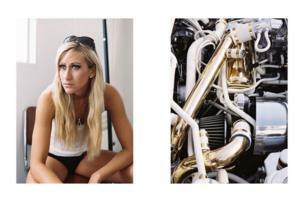 Sophie Green documents those involved in the boy-racer subculture through portraits of them and their cars.